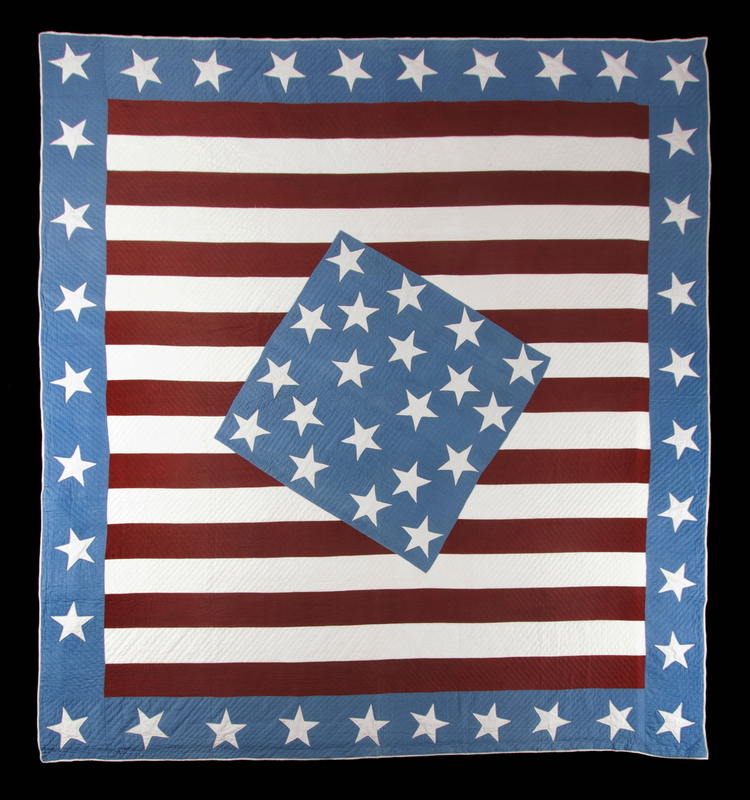 Dimensions (inches): 99" x 94"
This quilt is one of a small group of known examples that were made in the general style of a quilt pattern published in the July issue of Peterson's Magazine in 1861. 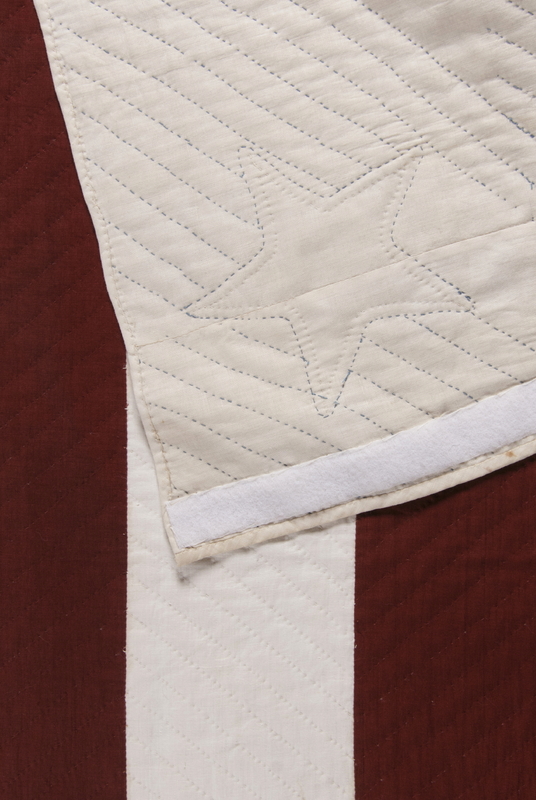 In a desirable style that quilt collectors termed "diamond-in-a-square," soon after favored by the Amish from Pennsylvania to Indiana, all of the surviving Peterson examples seem to be different, with various star counts employed around the perimeter and in the center. The condition here is immaculate, while the size is large and impressive. 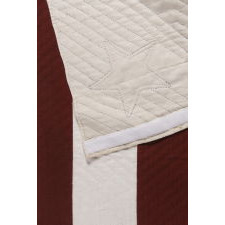 Made of cotton, the quilt is hand-sewn throughout and the stitching is small and excellent. 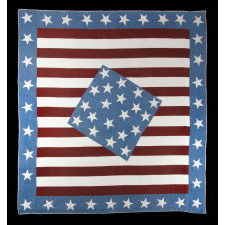 The 35 stars in the blue border represent the 35 states in the Union from mid-1863 to Halloween of 1864. The count of 20 stars is an appropriate Southern-exclusionary star count during that same period, representing the 35 states in the Union less the 15 Slave States. 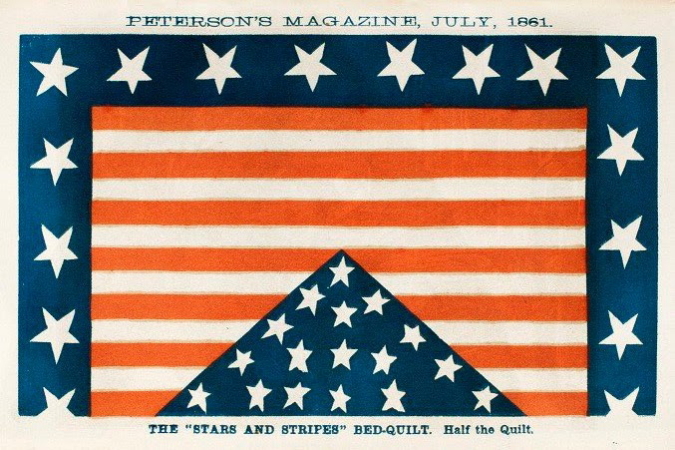 Lincoln specifically said not to remove stars for the Southern States, as his goal was to keep the Union together, but people did so all the same. Here both the full and exclusionary counts are presented. Attached is an actual copy of the pattern, which appeared as just half a page. 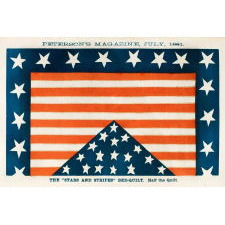 The original design seems to have been intended to include 34 stars both around the perimeter and in the center. 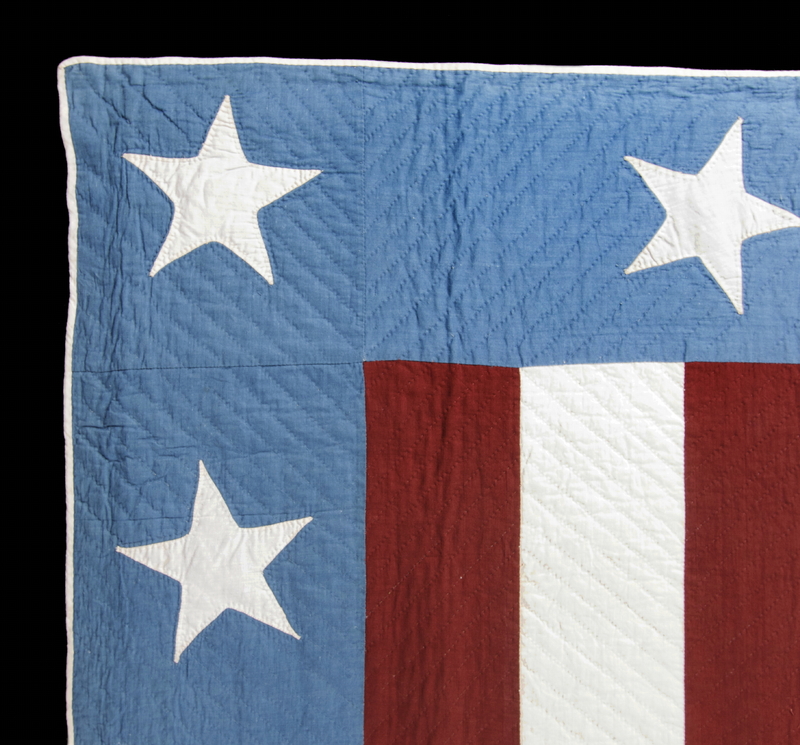 Because the maker had to interpret the full page, and because this was a time of passionate expression and creativity, with skilled quilters creating fantastic pieces of American folk art, what people actually made was their own version. 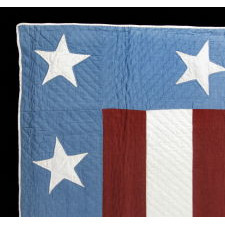 In this case, the quilt would have been made after West Virginia broke off from Virginia, in 1863, to become a Free State, but before Nevada joined the Union as the 36th state, with the maker then modifying the center to exclude the Slave-holding states, which represented all of the Confederate States plus the Border States of Missouri, Kentucky, Delaware, and Maryland.